Even as the second meeting of the special committee for interlinking of rivers was held on the January 6, 2015, Union Minister of Water Resources, River Development and Ganga Rejuvenation Uma Bharti sought “co-operation of various States in this project” and said that “States can discuss their apprehensions if any, in the next meeting of the committee.” She informed the meeting that on January 7, 2015, she would meet Chief Minister of Maharashtra Devendra Fadnavis to discuss Damanganga-Pinjal and Par-Tapi-Narmada link projects. This gambit from Bharti looks like another evidence that all is not at all well on the interlinking front. As predicted by many, there are major issues being raised by states, opposing diversion of any water outside their territories. The interlinking of rivers agenda is fraught with conflicts. Ken-Betwa, Damanganga-Pinjal and Par-Tapi-Narmada were supposed to be the initials projects to be taken up for interlinking. In all these projects, what is seen is repeated protests and conflicts, not only by the people but also by participating states. The quality of studies, for these supposed ‘flagship’ projects of the government, is shockingly poor. For the first interlinking river project to be flagged, the Environment Impact Assessment (EIA) of Ken-Betwa Link, its terms of reference and the actual public hearing had fundamental flaws. In case of Damanganga-Pinjal Link, there is a possibility that there will not be even a basic EIA study. This is entirely unacceptable when Bharti declared at the valedictory function of India Rivers Week that if environmental impacts are foreseen to be high, projects will not be taken up (click HERE to read)! But if there is not even EIA, how will we even know what the impacts are? Especially for a project that can submerge more than 3,500 hectares (ha) forest land in Western Ghats? But the bone of contention and the reason for Bharti seeking urgent meeting with Fadnavis at this time seems to be the Par-Tapi-Narmada Link project aimed at diverting supposed surplus waters from parts of west flowing rivers like Par, Nar, Ambika and Auranga Basins in Maharashtra into the Narmada basin of Gujarat. 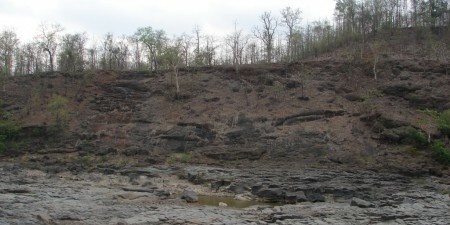 Maharashtra is strongly contending that it does not have any water to spare for Gujarat from these rivers as all waters from these west-flowing basins will need to be utilized by the drought-affected Girna sub-basin of the Tapi basin in Maharashtra, and also transferred into the drought-affected parts of upper Godavari basin in Aurangabad. Whether the Maharashtra Chief Minister, also from the BJP, will have the courage and fortitude to say this clearly and unambiguously remains to be seen. Before the meeting of Fadnavis with Bharti, the Tapi Irrigation Development Corporation (TIDC) of Maharashtra has come up with a detailed plan consisting of 22 dams to transfer all the surplus water from the four west-flowing basins into eastern Maharashtra, leaving no water for diversion onto Gujarat. This plan has been formulated, we are told, under instructions from the highest leaders in the state. The official document with the SANDRP, which is as latest as January 1, 2015, spells out this Master Plan which is supposed to consist of 22 dams, hundreds of kilometers of links, canals, tunnels, sumps and barrages. It may be recalled that in May 2010 a tripartite agreement was signed between Gujarat and Maharashtra governments and the Union Ministry of Water Resources for preparation of Detailed Project Reports (DPRs) of Damanganga-Pinjal and Par-Tapi-Narmada Link projects. One of the clauses (Para 3) of the MoU, which is now being upheld by the Maharashtra government was: “The feasibility of utilization of water by state in their territory by lifting water over the western divide will also be examined during preparation of DPR…” (click HERE to read). NWDA Link Project: Accordingly, the National Water Development Agency (NWDA) under Ministry of Water Resources, Government of India, completed a Prefeasibility Report (PFR) of Par-Nar-Girna Valley Link project to transfer waters from west flowing rivers to eastern parts of Maharashtra itself and submitted this to Government of Maharashtra in April 2011. According to the PFR, the cost of this intra-state river linking project is slightly more than Rs 10,053.1 crore, Benefit Cost Ratio (BC ratio) is 0.54, and Internal Rate of Return (IRR) is 3.16. The link project envisages diversion of 534 MCM (million cubic meters) water from Auranga-Ambika-Nar-Par basin through 20 dams. However, the Government of Maharashtra was not happy with the NWDA study and felt that it was made to seem their plans unviable. Tapi Irrigation Development Corporation (TIDC) Modified Link Project: So NWDA PFR was modified by TIDC of the Government of Maharashtra (GoM) in September 2011. According to this Modified PFR, the cost of the project would be close to Rs 6,866.09 crore with a BC Ratio of 1.73 and IRR of 15.11, much higher than the NWDA proposal. This project aims to divert 549 MCM water from Auranga-Ambika-Nar-Par basins through 22 dams. The project is made up of three schemes of 22 projects inter connected through tunnels, canals, rising mains, barrages, etc. The water stored in these dams is envisaged to be pumped up across the ridge line and transferred into the Girna sub-basin through the proposed Manjarpada-2 diversion scheme in Dindori, Nashik. According to a Central Water Commission (CWC) study in March 2012, the Par-Tapi-Narmada link envisaged to transfer 598 MCM from the Maharashtra catchment. However, the Par-Nar-Girna proposal by Maharashtra of transferring 549 MCM water at 75 per cent dependability into eastern parts of the state makes it clear that Maharashtra has no water to spare for Gujarat. It is claimed that Maharashtra’s transfer will create a total command area of 95,760 ha, of which 53,626 ha will be in Nashik, 38,304 ha in Jalgaon and 3,830 ha in Aurangabad district of Godavari Basin. In addition, there will be 146 MCM reserved for domestic and industrial use. 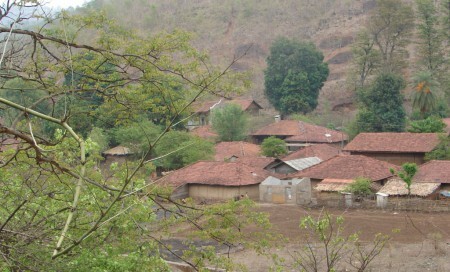 Aurangabad is a part of Marathwada which infamous for recurrent drought. This falls in Godavari Basin, which is supposed to be a surplus basin according to NWDA! The scheme of pumps, sumps, tunnels, canals and rising mains will require 195 MW of electricity, and the rising main itself will be 84.5 km long. The project has a construction period of seven years. It will also need at least 10 barrages on Girna for Nashik and Jalgaon districts. Strong opposition in Maharashtra to Par Tapi Narmada Project and diverting water to Gujarat Par Tapi Narmada Link has created a furor in the political circles of Maharashtra. In the winter assembly, a special meeting was held between Maharashtra Water Resources Minister Girish Mahajan and MLAs from the Par, Nar, Ambika and Tapi regions, which include Baglan, Chanwad, Devala, Malegaon, Surgana-Kalvan etc. This meeting was to discuss strategy before interstate meeting between officials from Maharashtra and Gujarat on the interlinking projects in March 2015. It has been urgently decided that the government will come up with a master plan for using waters of these rivers for Maharashtra itself rather than diverting it to Gujarat through the Par-Tapi Narmada Link. It was reported in June 2014 that, in a meeting in Vadodara organized by the NWDA, there was an appeal to give immediate permission for the Par-Tapi Narmada Link project, but officials of the Tapi Irrigation Development Corporation from Maharashtra opposed this. Locals have organized fasts and protests opposing this move, and there is tremendous opposition to these plans in the affected regions and the proposed beneficiary region of the Par-Nar-Girna Link. Par-Nar-Girna Link Project by Maharashtra is a costly, unviable and destructive project. The resounding failure, stalemate in work, protests, corruption charges and lack of promised benefits of Manjarpada-I Project, just adjacent to proposed Manjarpada-II project for this scheme, is enough to prove this point. The South Asia Network on Dams, Rivers and People (SANDRP) has visited and analysed this project and the so-called diversion dams which are supposed to divert waters from west flowing basin into the Godavari Basin. 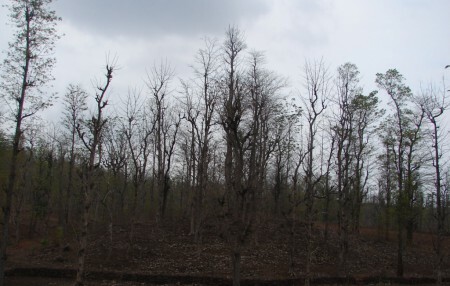 This project will submerge more than 2,000 hectares of forest in Western Ghats and more than 1,000 hectares of private lands inhabited by tribals. These figures are in any case very conservative estimates considering the massive nature of scheme with 22 large dams and all the related structures. Water transferring in this region has been always fraught in conflicts. Just 78 km transfer from Palkhed Dam to Manmad town could not happen due to en-route thefts, canals leaks etc. Long distance transfers to places like Aurangabad is a bad pipe dream which simply cannot materialize. In any case, Aurangabad has many simpler options rather than depending on such a fallacious, vacillating project. Even in Girna basin, with all the rainfall and local streams, there are many local options to be explored. Having said that, the Maharashtra project is no more impractical than the Par-Tapi-Narmada Link Project, which envisages seven huge reservoirs and a canal, which is more than 400 km long. 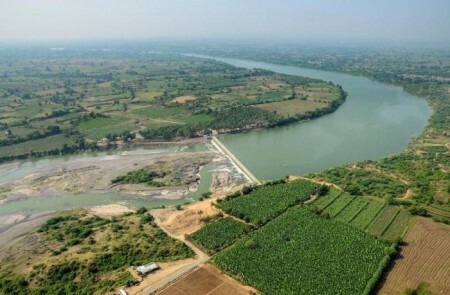 The Par-Tapi Narmada Link would submerge nearly 7,500 hectares of land, including 3,572 ha forestland. 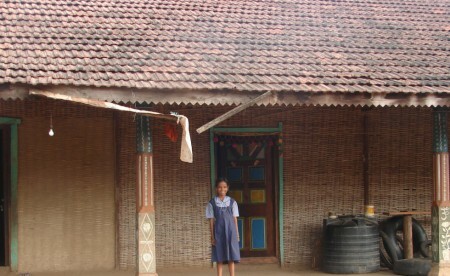 It would also affect more than 35,000 tribals. It seems the Government of Maharashtra and the Tapi Irrigation Development Corporation have hastily proposed Par-Nar-Girna project only to stop Gujarat from taking Maharashtra waters, alleviate public concerns, opposition of local MLAs and leaders. This tragically looks like a competition for pushing bad projects. It has to be noted that this region belongs to the Northern-most range of the Global Biodiversity Hotspot of Western Ghats. Most of the region falls in Eco-sensitive Zone-1 (ESZ1) as per the Western Ghats Expert Ecology Panel Report under the Chairperson ship of Dr Madhav Gadgil. The Report restricts any large dams and inter-basin transfers in this region. The region also falls in ESA (Eco-Sensitive Areas) as per the Kasturirangan Committee Report (High Level Working Group Report on Western Ghats) which lays down strict regulations for Interbasin Transfers as well as large dams in ESAs. The current race to the bottom is direct fallout of pushing inter-linking of rivers as a political agenda. There is BJP Government in Maharashtra, Gujarat as well as the Centre. Despite this, opposition to Par-Tapi-Narmada Project is simmering across the borders, and the Government of Maharashtra is finding it impossible to support the project. This highlights the latent conflicts that are part of the Interlinking Agenda. As climate change is skewing up water availability and affecting crops, as water-related disasters are increasing, as dams are increasingly seen neither as a solution, nor a respite to these issues, the last thing India needs is more interstate conflicts fuelled by interlinking of rivers. The last thing our rivers and riverine communities need is more bad projects only to spite another set of bad projects.